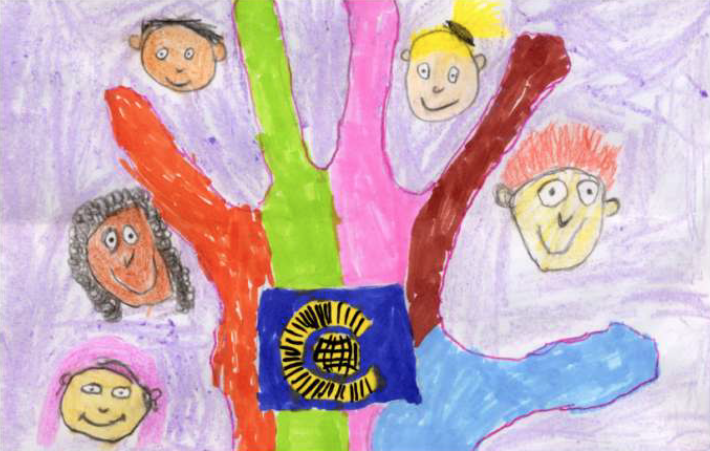 The Commonwealth Hand of Friendship Flag by Molly Mann – the winning entry in our Design A Flag competition – features on the 2014 Somersham Carnival Programme. Displayed in the windows of various businesses and homes will be the flags of the Commonwealth – all 51 of them – as part of the theme of this year’s Somersham Carnival. This is all part of our Great Flag Hunt – a competition we’ve launched in collaboration of the kind residents of these two streets where you can win a prize. To be in with a chance of winning, you just need to tell us where the flags are flying. All you need to do is download the entry form (below), find the flag, circle either ‘H’ if you’ve found it on the High Street, or ‘P’ if you’ve found it on Parkhall Road. Then write in the building’s street number. Then add your details at the bottom of the sheet and make sure it’s delivered to 51 High Street, Somersham, by 5pm on Friday 20th June. Download The Great Flag Hunt Entry Form (PDF/330Kb) and set off to find them – can you find all 51? We’d like to thank all of the homes and businesses who are kindly taking part in this event – and hope you don’t mind seeing people staring at your windows for a few days! Check out our What’s On section for details of other events during Carnival Week 2014.